With Rob Marshall’s “Nine” finally arriving in theaters, it’s only inevitable that Criterion would plan a Blu-ray edition of “8 ½” (the film on which the musical is based) in conjunction with its release. 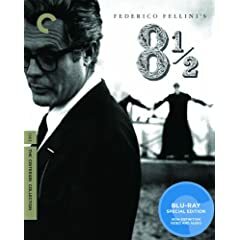 Though I’m not as in love with the Federico Fellini classic as most cinephiles, there’s still a lot to appreciate about the film – particularly Marcello Mastroianni’s incredibly memorable performance as Fellini-esque film director Guido Anselmi. 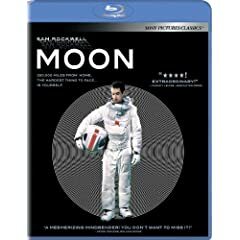 As for the disc itself, Criterion’s near-flawless track record continues with a sharp high-def video transfer and surprisingly crisp uncompressed monaural soundtrack. Most of the extras have been ported over from the original DVD release – including an audio commentary by Gideon Bachmann and NYU film professor Antonio Monda, a newly restored version of “Fellini: A Director’s Notebook,” and a documentary on longtime composer Nino Rota – but Criterion has sweetened the pot by including the 2003 documentary, “The Last Sequence.” Suffice it to say that any fan of Fellini, Italian cinema, or film in general will definitely want to update their collections.